Skanda Shashti is a Hindu festival which is devoted to the worship of Lord Murugan, and it is celebrated by millions of Hindus every year and is mainly observed in Tamil Nadu, Kerala, Singapore, Malaysia, Sri Lanka and South Africa. Shasti fasting falls on the sixth day after Amavasya (no moon) in a traditional Hindu lunar calendar. When Panchami Tithi ends or Sashti Tithi starts between sunrise and sunset then both Panchami and Sashti are conjugated and this day is chosen for Skanda Sashti Vratam. This rule has been mentioned in Dharmasindhu and Nirnayasindhu. Shasti Fasting is considered highly auspicious and many Muruga devotees observe a 24-hour fast, most take a single meal on the day. 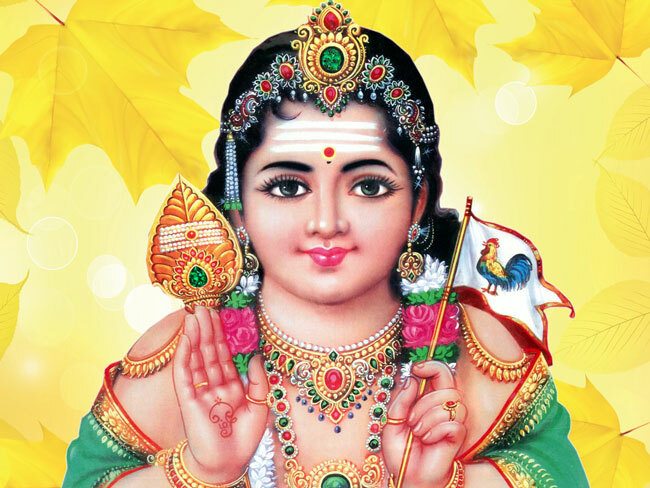 Muruga is also known as Skanda, Shanmugha and Subramanian. In North India, Muruga is known as Kartik or Kartikeya. Shasti Fasting is widely observed in South India, Malaysia, Sri Lanka and Singapore especially by Tamilians and Malayalis. Skanda is the avatara of Manmatha. He is in the same kakshya of Indra. He is the lord of War. Indra did the abhisheka of him as the devasenaadhipathi after he killed Tarakasura. During Srinivasa Kalyana, Srinivasa devaru nominated him to invite the audience, as he has six faces and can see all six directions. He is the pravartaka for Skaanda matha which says Skandha is supreme. We have to worship Skanda with the antaryami roopa of Pradyamuna roopa of Srihari. What are his other names? 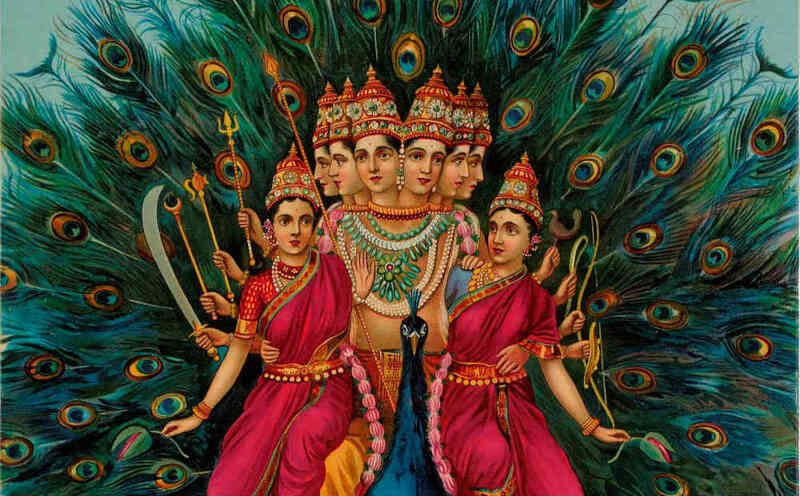 Kumara, Skanda, Shanmukha, Subramanya or Kartikeya. Subramanya Shasti is termed as “Champa Shasti” if Margashira Shukla Shasti falls on Sunday, Vishaka Nakshatra, and vaidhruti yoga. 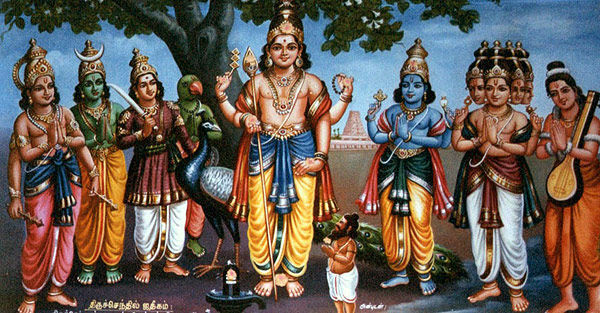 He is called as Kumara – as he always looks like a small boy He is called as Shanmukha as he has six faces He is called as Kartikeya as he was brought up by six sisters named Kruttika. He is called as Shanmatura as he was brought up by six mothers He is called as SharavaNabava – When he was born out of the tejasstu of Shiva, Agni held it. Even Agni, could not sustain the tejassu of Shiva tejassu, who kept it in Ganga. Ganga also could not sustain, who kept it on the grass (Shara), that is why he is called as SharavanaBava. It is on this day that Sri Subramanya, who was born on Margashira shudda Panchami killed Tarakasura on the next day, shasti. When is this Skanda Shasti celebrated? It will be celebrated on Margashira Shukla Shasti. This day is also called as Subrayana Shasti. Murugan killed the demon Tarakasura who threatened to destroy both heaven and earth, with his powerful weapon the Vel on this day. Hindus all across the world celebrate this day with great devotion and reverence towards Lord Murugan. The dedicated worship of Lord Murugan brings good fortune to devotees and helps them fight evil and face all the difficulties of life. Why naagaaradhane on Subramanya Shasti and how is Subramanyana Shasti celebrated? In the brahmachaari, we have to do the avaahana of sankarshana roopi paramathma. In this way, we have to do the avaahana of Sheshantargata sankarshana roopi paramathma in the brahmachaari, do the paada prakshalana, give him gopichandana, yajnopaveeta, panchapaatre, phala, vastre, dakshine. We have to chant “Dhanu:shaktidharO dhyEya: kaamadO bhayanaashana:” for dhyana shloka. How to observe Shasti Vratam? The Shasti fasting begins with sunrise. The fast is broken on the next day morning after praying to Lord Surya (Sun God). Most people observing the fast make it a point to visit Murugan Temple on this day. It is a complete fast in many places. But this might not be quite possible for many people due to job, health and other reasons. So many people take some sort of vegetarian food on this day – this is usually a single meal in the afternoon or night. Many people opt for a fruit diet on the day. Some avoid solid food. In several Kerala Muruga temples, many devotees eat a single rice meal at noon given from the temple. The cooked rice is consumed without any major side dishes. The method of fasting differs from region to region. But all non-vegetarian food is avoided on the day. Devotees listen to stories related to Skanda and reading of Skanda Purana. Another activity during the day is the reciting of Kanta Shasti Kavasam. Fasting is not just abstaining from food but it also an attempt to instill positive thoughts. Many people use fasting as a means to fight against anger, lust, impatience and other negative tendencies. All Vratas associated with Hindu religion is an attempt to realize the Brahman. Why on this day, Brahmacharis will be invited for bhojana? Subramanya has the other name Kumara. He likes young brahmacharis as they will not be having any dwesha-asuya, and their heart will be pure. Skanda will be invited to have avaahana on Subramanya on these brahmacharis, and will take the sampoorna pooja done to brahmacharies. Major bhakshyas done on this day will be from Urid dall. Brahmachari to be given Vastra, Dakshine, etc.